When implementing an automated material handling system, design requirements are generated in response to an organization's business needs, objectives, and strategic initiatives. These requirements are then translated from abstract ideas into a finished product that can deliver value back to the organization. Demo3D can be used throughout this process to facilitate continuity and to avoid disconnection between the as-built system and the stated requirements. Using Demo3D, models can be created to quickly and clearly communicate complex design requirements where text alone would lead to a risk of misunderstanding and noncompliance. As specifications are designed in response to those requirements, the models can be refined to test proposed solutions to ensure that they are valid, to rank their relative merits and shortcomings, and to identify constraints on their implementation. During engineering development, the models can be further refined to test that the implementation conforms to the specifications, and therefore meets the requirements. Finally, the physical system is tested to ensure that it mirrors the implementation that was modeled, which implies that it conforms to the specifications and implicitly meets the requirements. This continuity from requirements to specifications to implementation to construction strongly supports the delivery of a finished system that is able to support a customer's business objectives. It breaks the complex relationship between the as-built system and the original requirements into manageable pieces, allowing each subsequent piece to be evaluated against its predecessor. Retrotech, Inc. specializes in the design, installation, modernization and support of automated material handling systems. Since 1985 Retrotech has executed over 450 ASRS projects and commissioned over 20 new greenfield systemsâ€”some of which are the largest in North America. 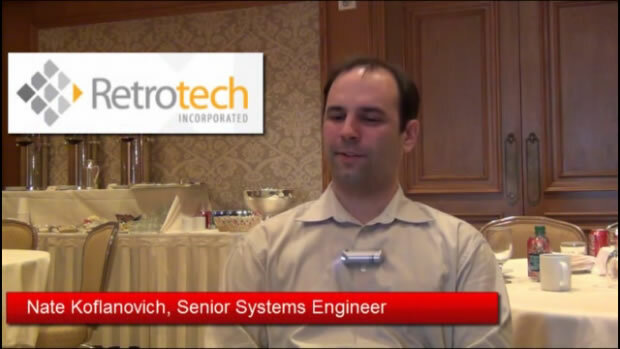 Retrotech's project experience spans every industry that uses AS/RS as a part of their distribution strategy. To access the Retrotech website, click here.